As believed in Hindu Mythology-“the more you suffer the more kindness you will receive from the God”. These golden words bring out the real soul of Hinduism and hence are relevant for every individual. The difference between pain and sufferings can be experienced only when you take the pious expeditions and one such memorable and spiritual expedition comprising of Gangotri, Yamunotri, Kedarnath and Badrinath at the grandiose and attractive peak of Garwahal Himalaya in Uttrakhand is Chardham Holy Yatra. 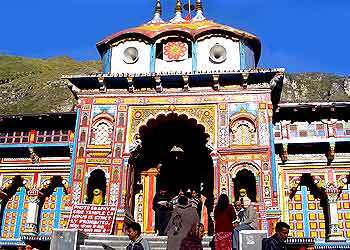 The sacred expedition starts from Yamunotri-the origin of river Yamuna, followed by Gangotri- the seat of Goddess Ganga. The next shrine is Kedarnath dedicated to lord shiva is one of the twelve joytilingas. The journey ends in Badrinath-the most enchanting and rousing image of Lord Vishnu. The one meter tall contemplative pose of Lord in the form of Shaligram stone can be found at Badrinath temple where every year, thousands of pilgrimages mark their presence to seek blessings and to learn the essence of Hinduism. The four dhams are not only consecrated with scenic beauty, but also is blessed with divine energy. Every Hindu wishes to go on Chardham yatra to give a meaningful end to his life and get rewarded with ecstasy.